Twenty years ago aftermarket conversions were extremely exciting. A number of small companies were regularly releasing conversions for aircraft and armor that, at the time, we were sure would never be produced by the mainstream manufacturers. 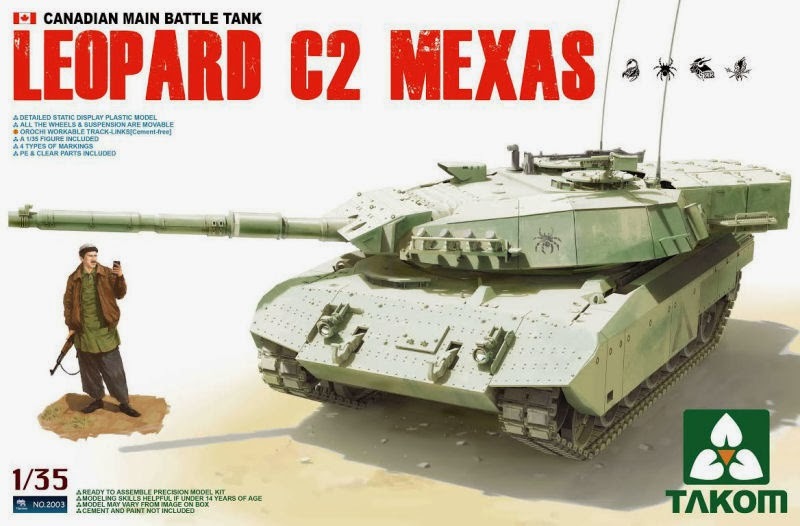 If you wanted an M4A2 Sherman in 1992 you had to buy the Panzer Concepts or Verlinden conversion. Eager to build a Pzkpfw II Ausf. C? You got the MB Models conversion. If you built flying things and wanted a 1/72 F-101B you looked for the Airmodel conversion, and a full kit of the B-66 was available only as a vacuform kit. Despite cries that our hobby is dying, we're at a point in its ongoing evolution where anything is possible. Just look at all the great kits that were released last year and announced for 2014. This must be an incredibly difficult time to be in the business of conversion kits, because no matter how obscure the subject, there's a very real possibility that one of the mainstream manufacturers will produce it sooner than later. And with little notice! Look at the armor community for a recent example. The Leopard C2 MEXAS has been seen service in Afghanistan since 2006 and intrigued me as soon as I first saw it. 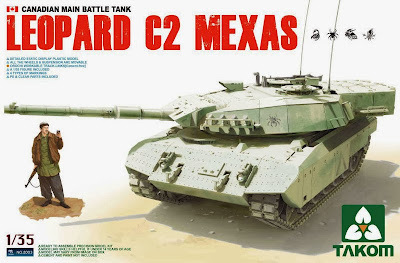 Recently Trackjam Models stepped up to produce a MEXAS conversion for the Italeri/Revell kit, and I quickly put it on my personal wish list as I awaited its release. But then two, um, bad things happened. First Legend Productions released its own MEXAS conversion (no wait required), and then Takom announced its upcoming release of a complete, injection molded kit. My excitement about the Takom kit was tempered only with the realization that the folks behind the Trackjam conversion may have lost a good degree of momentum, guessing that most modelers will prefer a buying kit rather than a conversion. While Legend might be able to absorb diminished sales of their conversion, a small, cottage industry shop like Trackjam has much more invested in terms of their overall resources. That said, as Trackjam specializes in Canadian subjects, I think modelers are confident that their MEXAS conversion will be a great product and might even be used to correct any errors on the Takom kit. As I look at other conversions I'd like to buy, I find myself re-thinking just how urgently I want them. A little voice inside my head tells me that if I wait long enough someone will eventually produce a kit. I've always liked the Israeli Nagmashot, yet I've been putting off buying the Legend conversion because it's not hard to envision Meng producing a kit of it in the next year or two, particularly if their Achzarit sells well. The same is true for those less detailed kits of more obscure subjects. For example, I have a Heller 1/72 Saab Viggen in the stash, which will require significant effort to superdetail. How long will it be before Trumpeter or Hobby Boss produces a new tool kit of that jet? Ditto for a new kit of the F-106 that's better than Hasegawa's ancient offering? Are you re-thinking purchases in light of the new kits we're seeing? How long are you willing to wait for a complete kit rather than use a conversion?